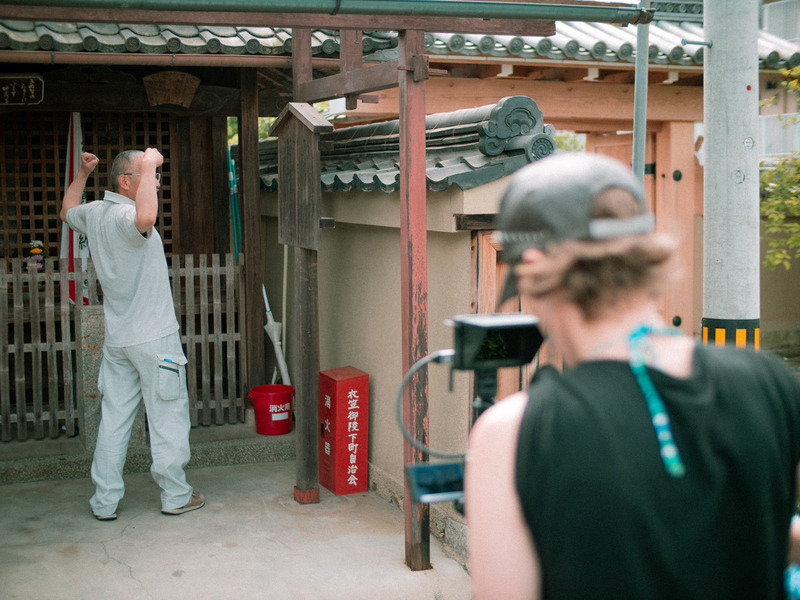 Akira Nishide (playing irritable neighbour) warms up before his take. He’s much more comfortable with comedy films, than the rather grumpy role I asked of him. He liked to keep us entertained between takes.